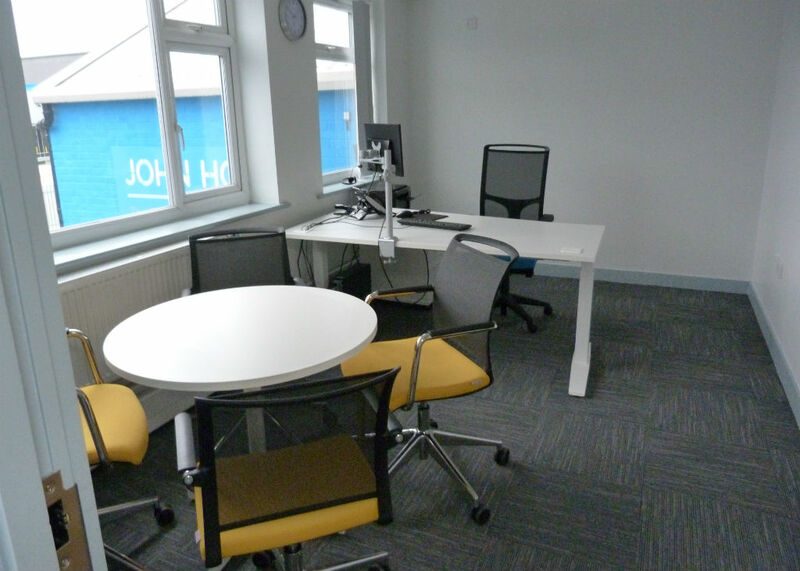 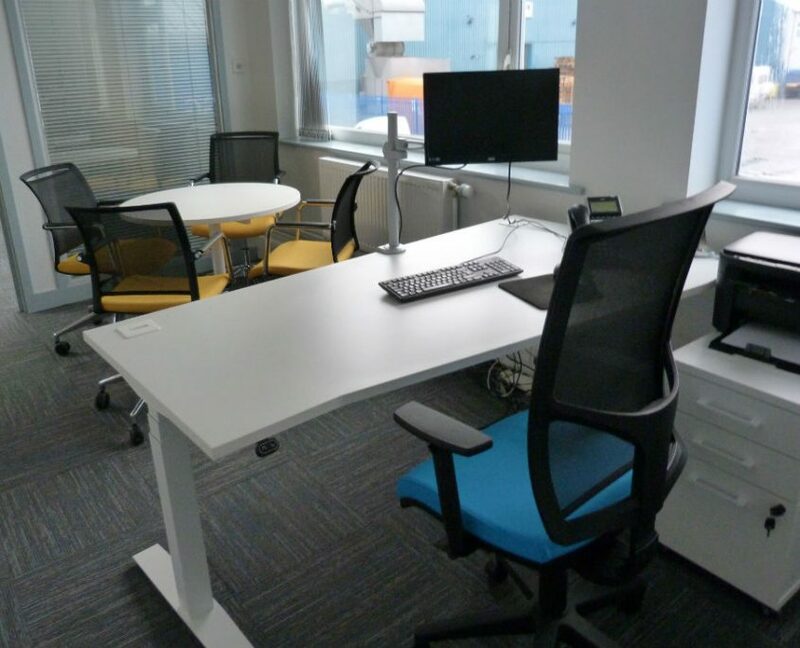 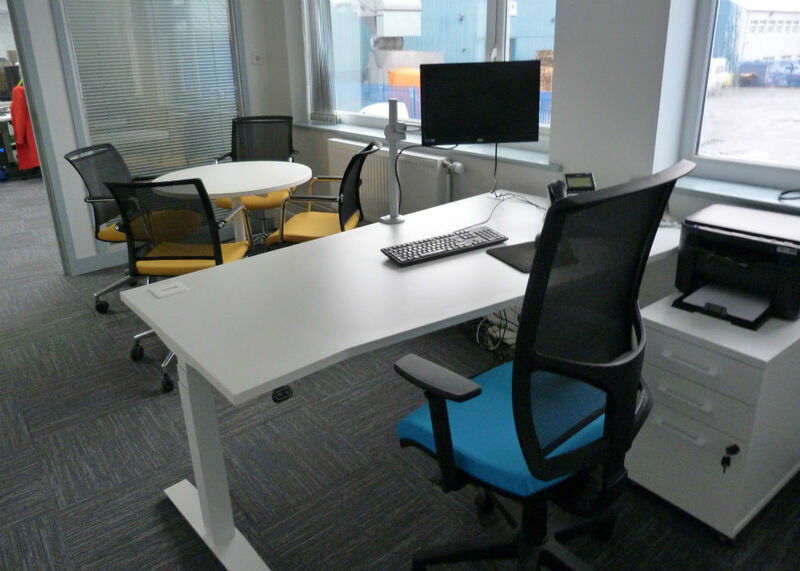 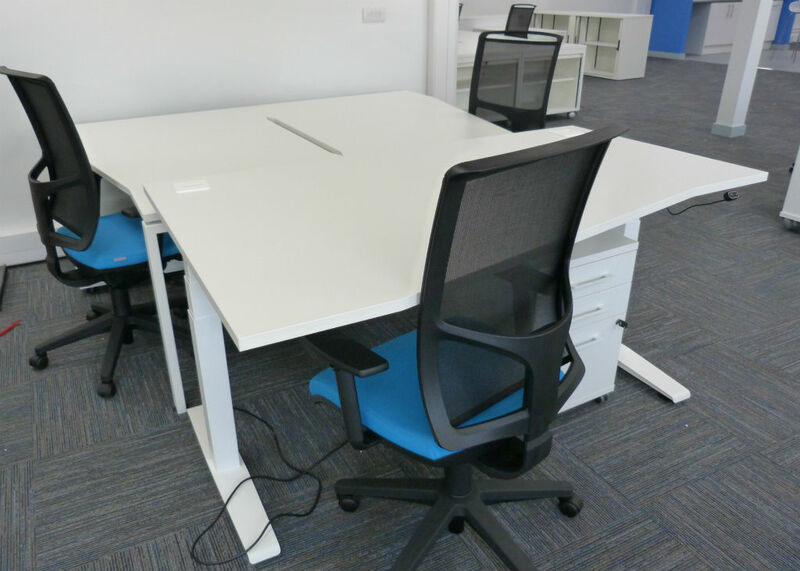 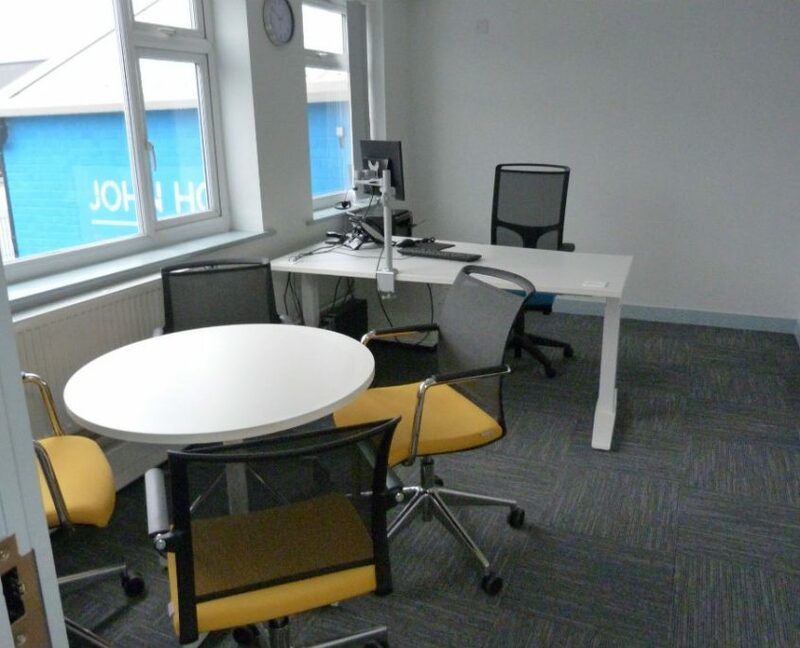 John Hogg Technical Solutions on Trafford Park in Manchester wanted a solution with height adjustable desks for their office refurbishment. 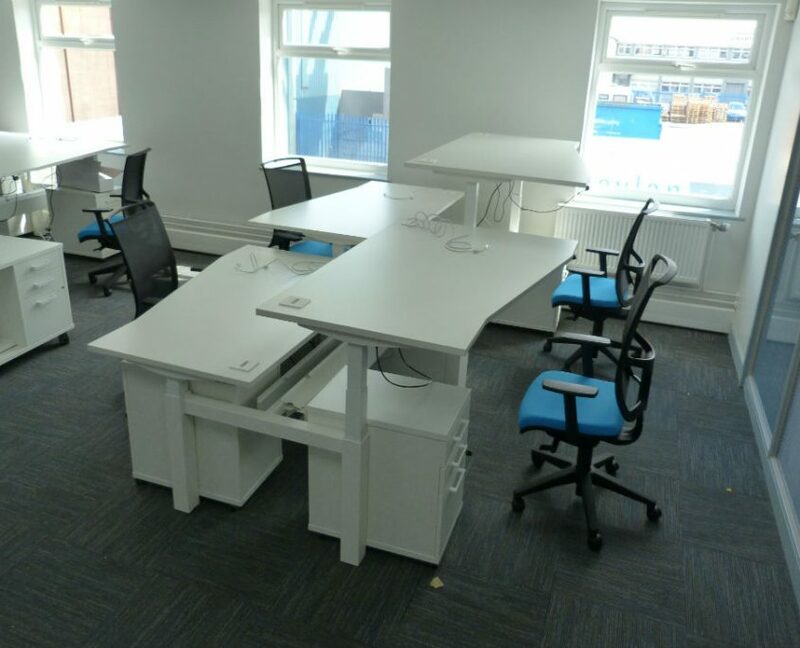 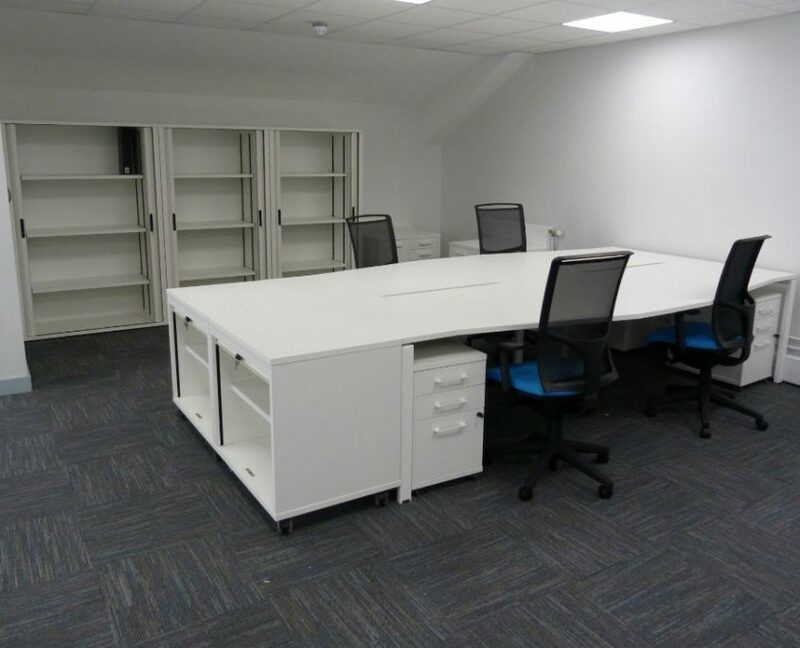 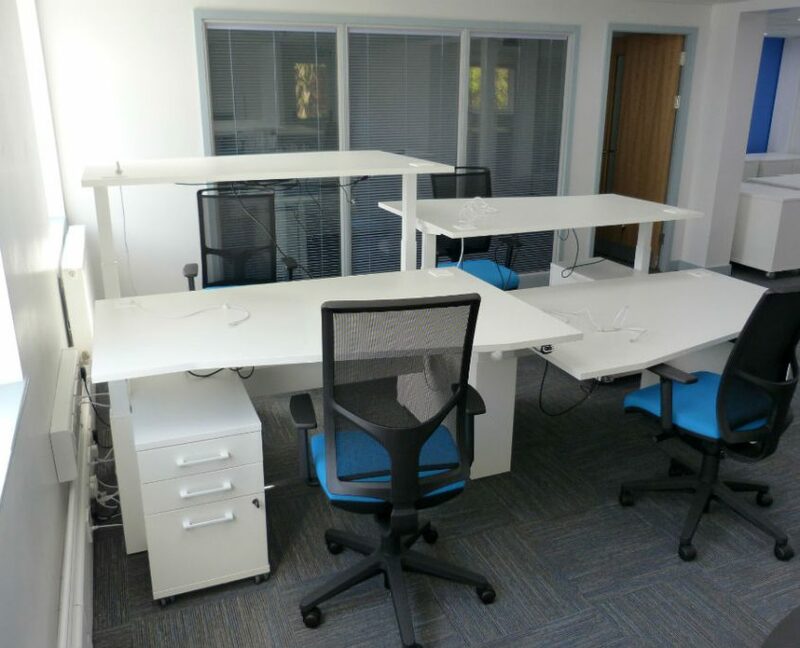 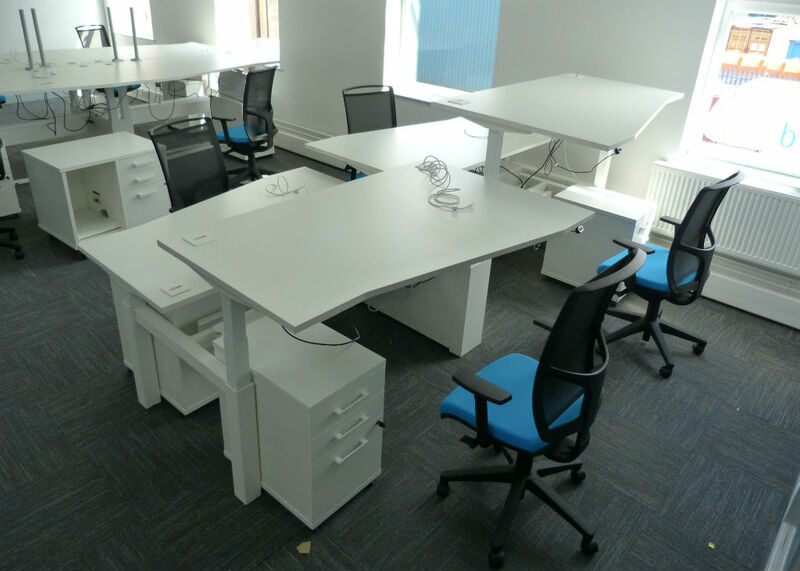 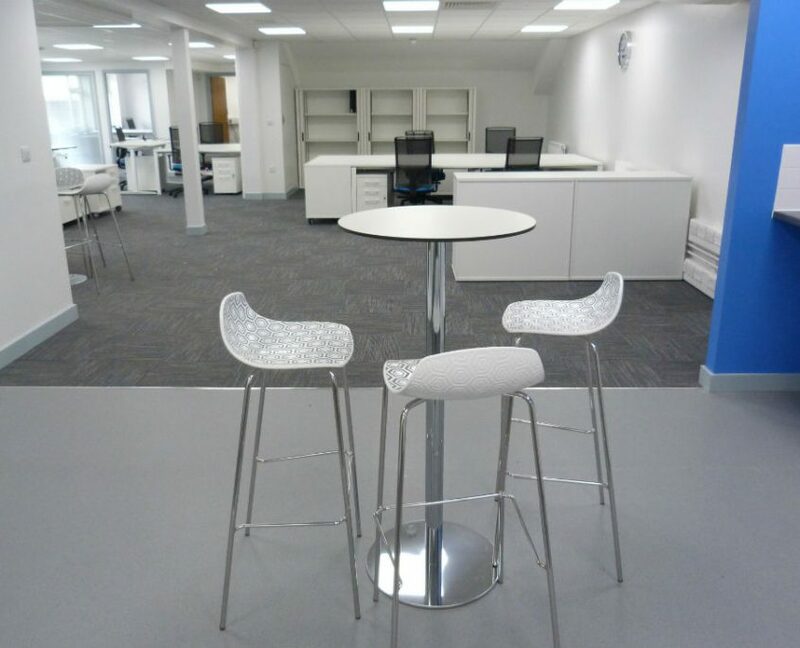 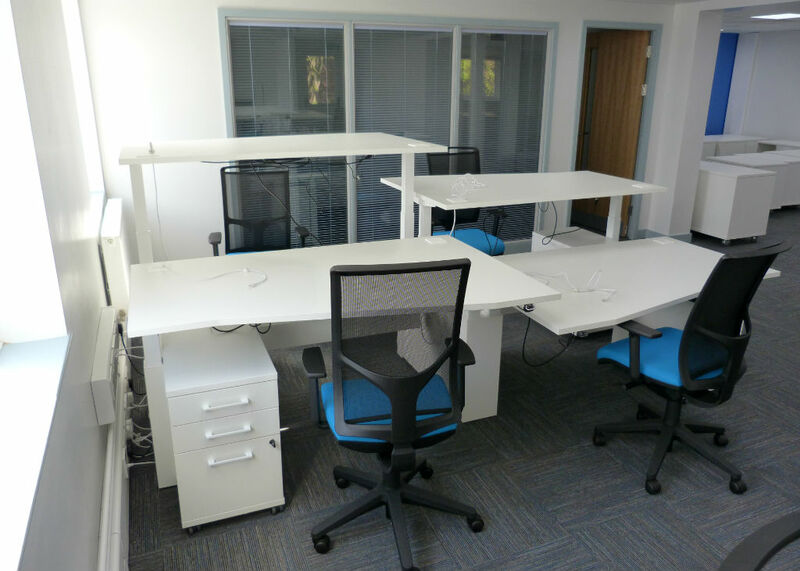 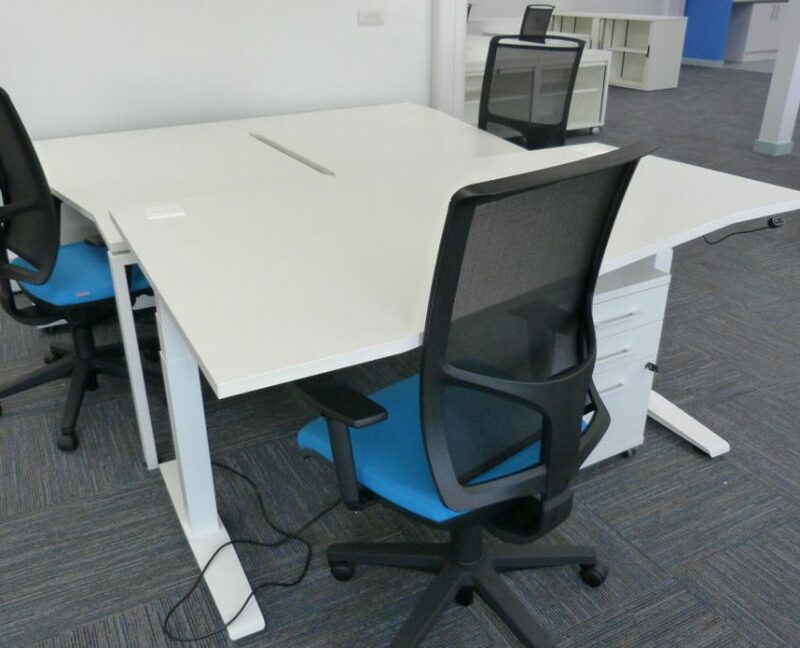 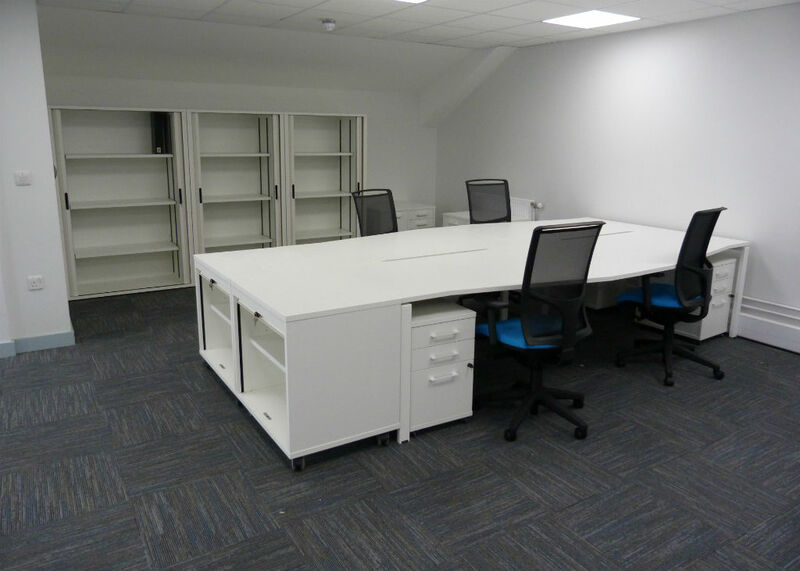 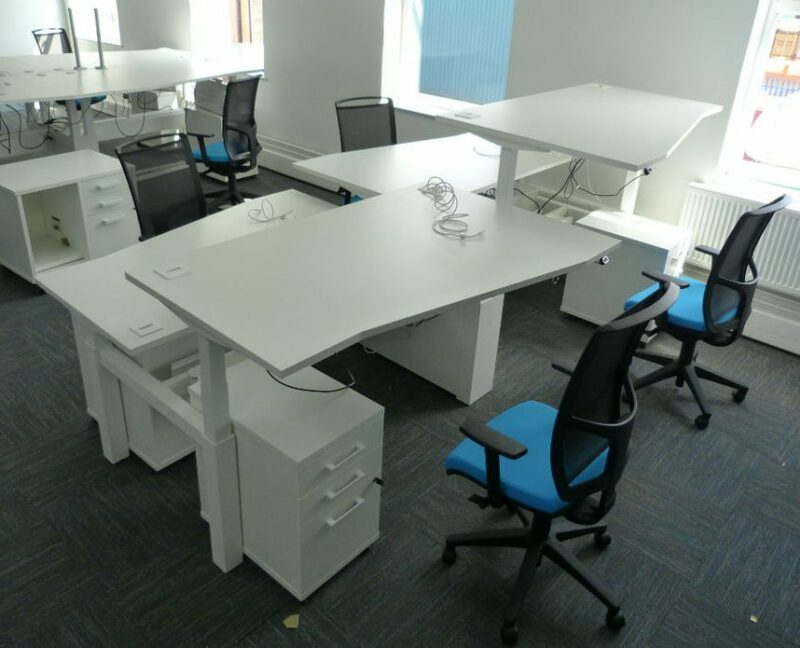 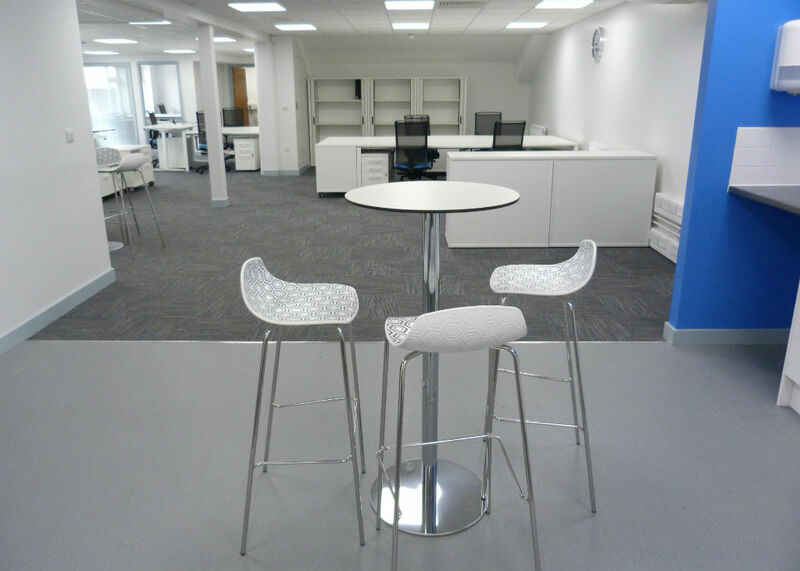 We used iBench desk range and freedom height adjustable desks in banks of 4 and some single Sit/Stand desks from the freedom desk range for Managers offices. 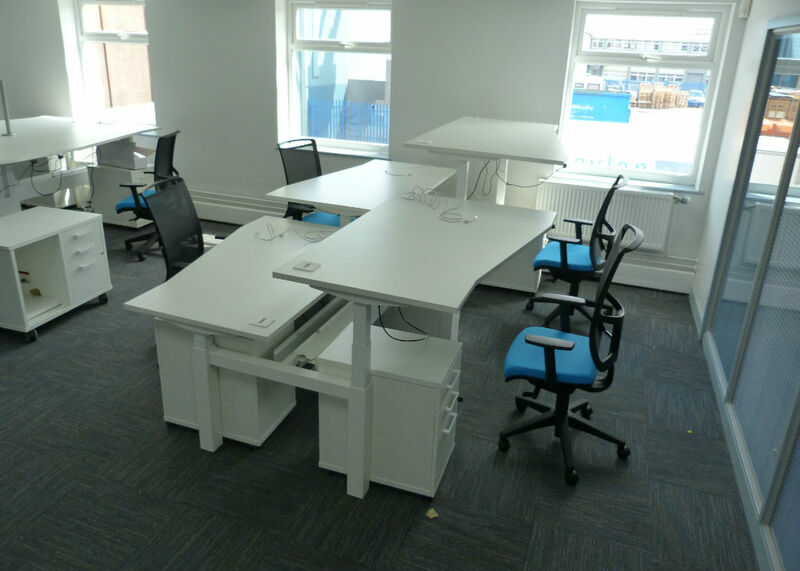 With all electric height adjustable actions the freedom range is very easy to operate and will suit any user. 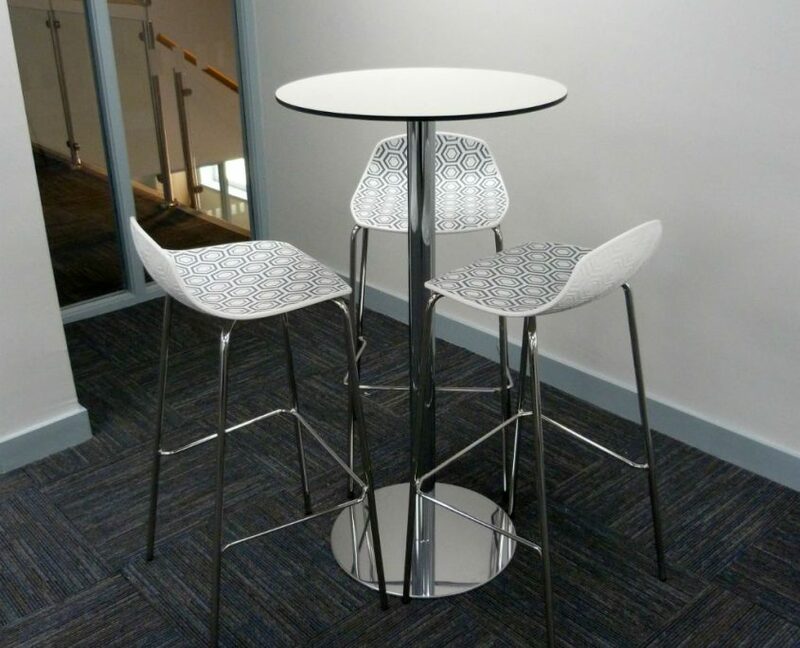 Zed mesh back operator chairs from Italy were chosen for their comfort and ergonomic qualities. 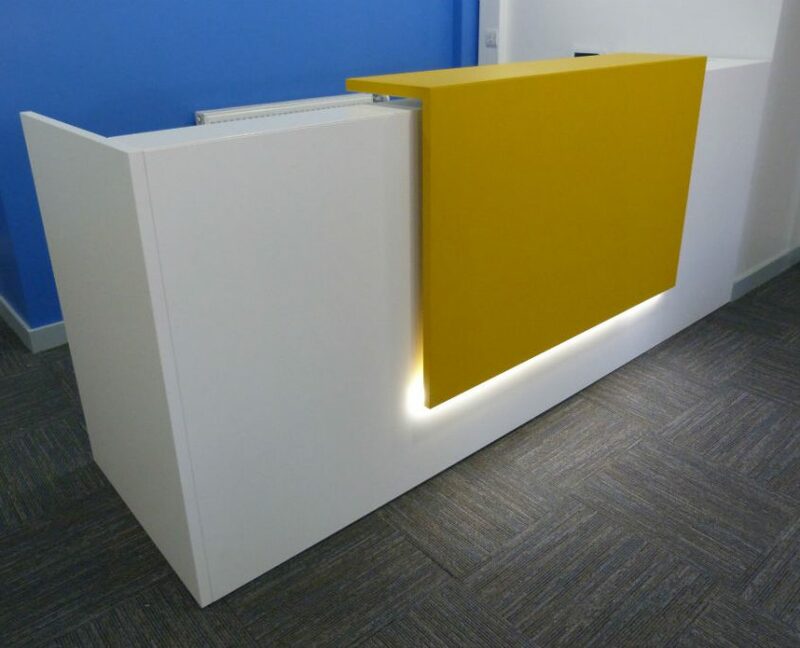 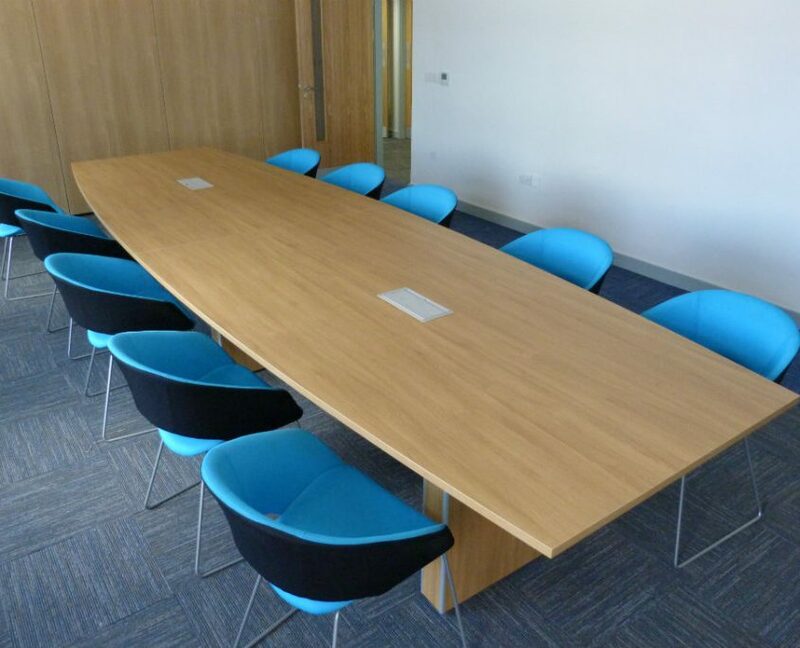 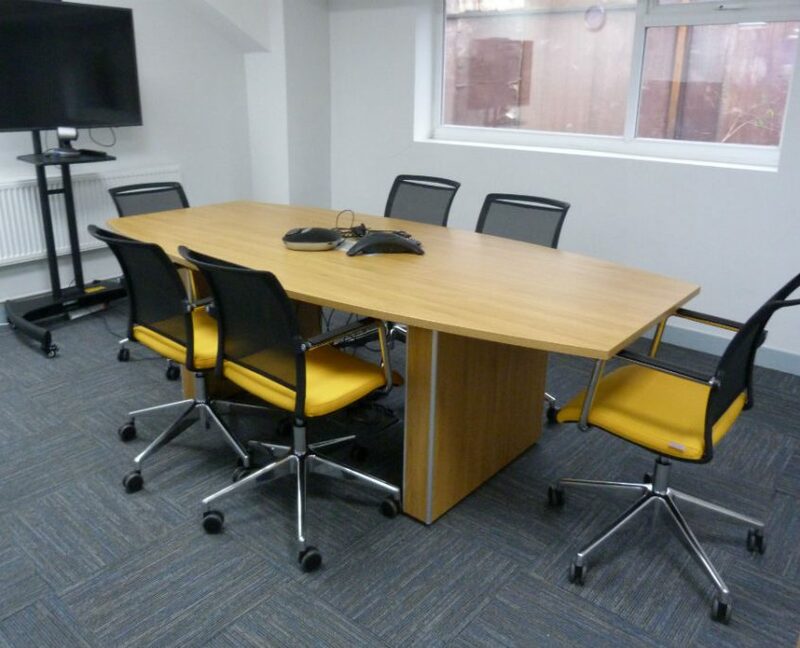 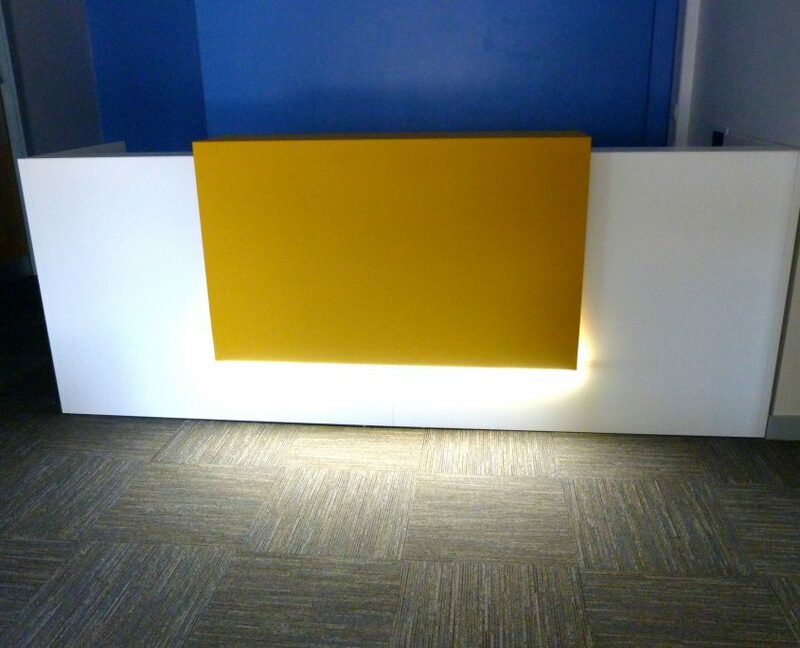 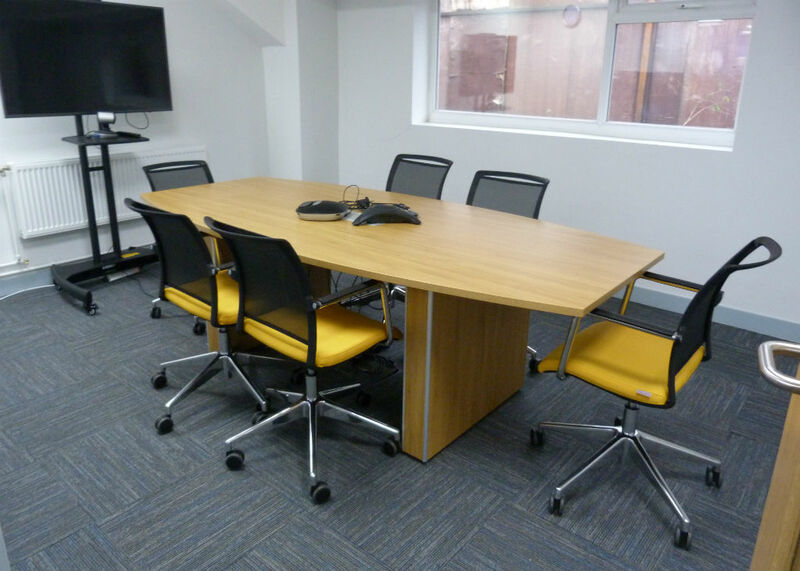 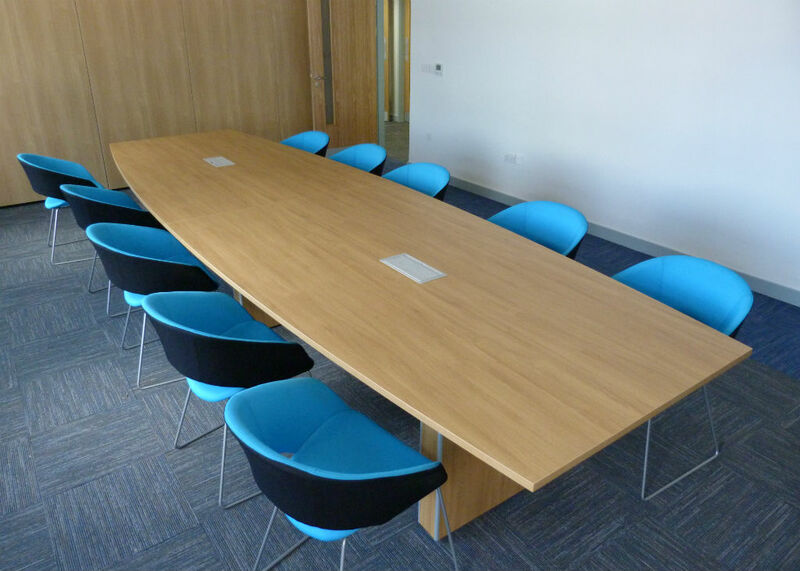 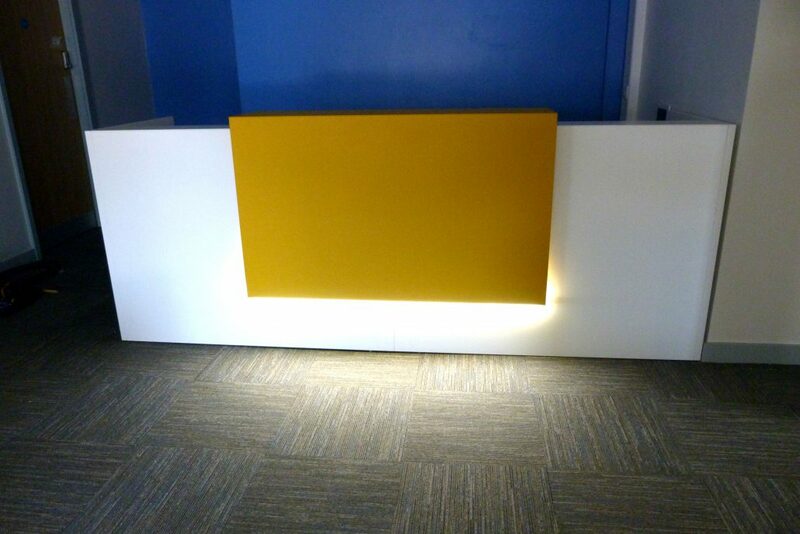 Ambus tables in oak were used in the boardroom and meeting rooms and a Z2 Reception counter from Italy with a yellow front and blue wall background brought in the company colours. 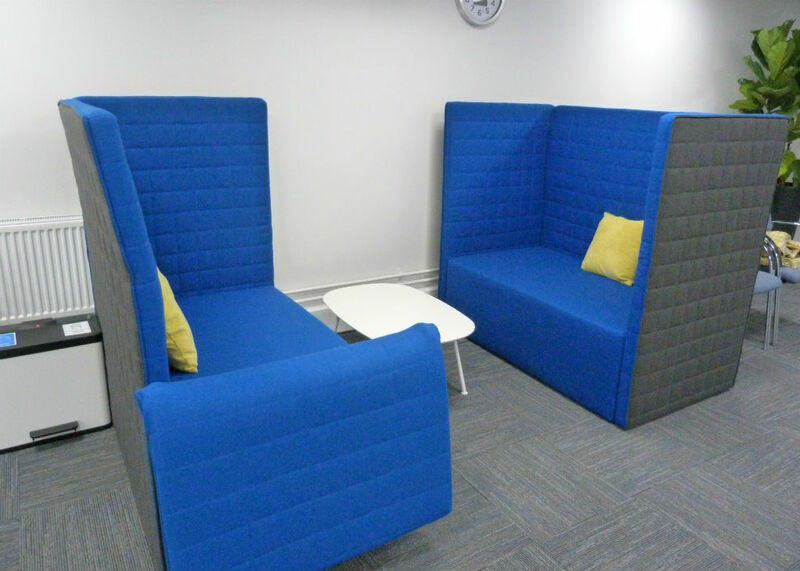 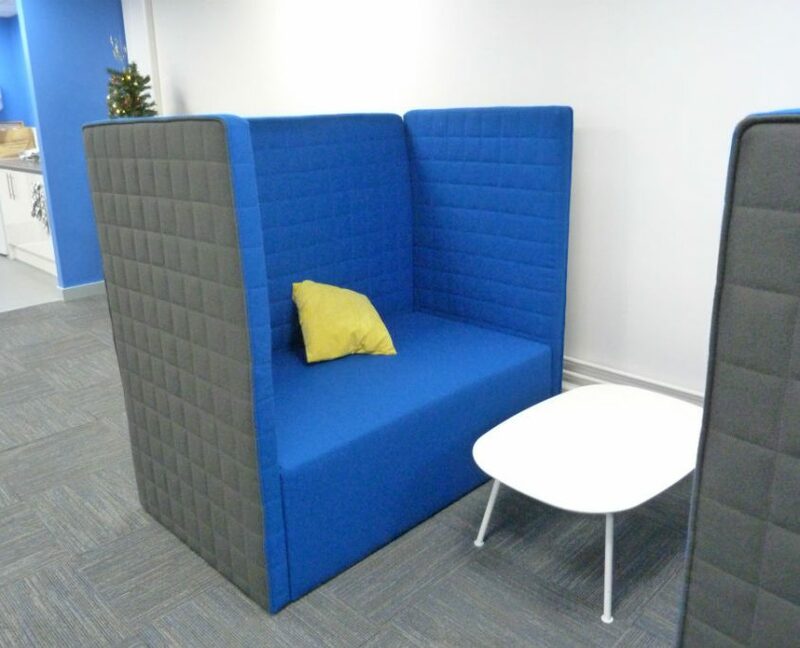 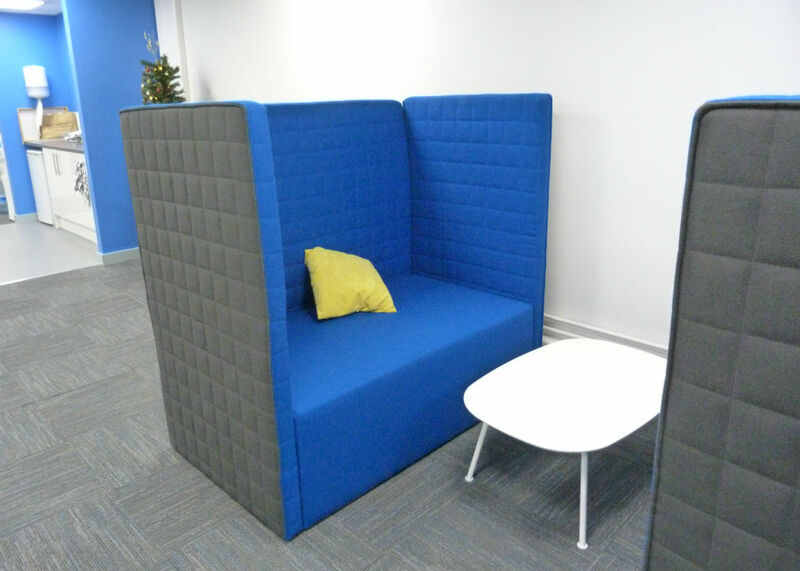 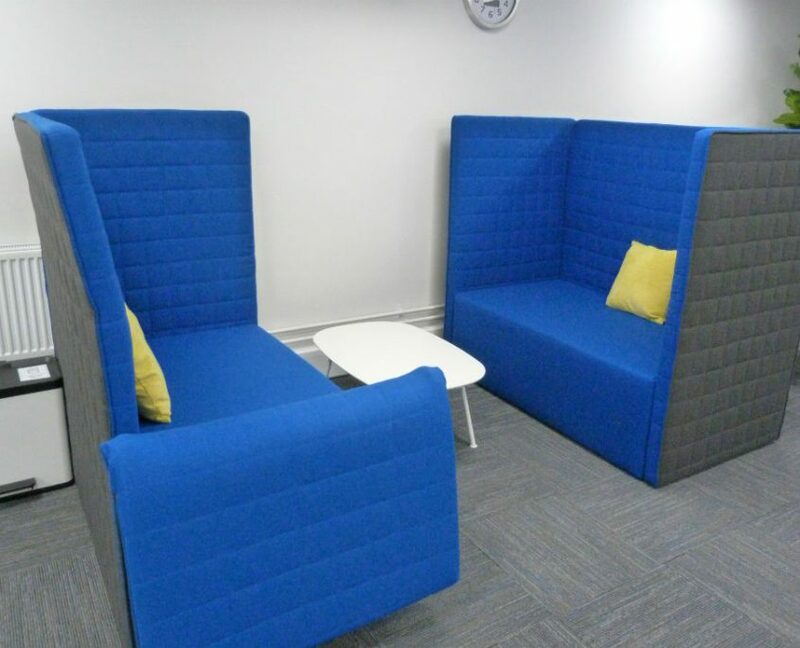 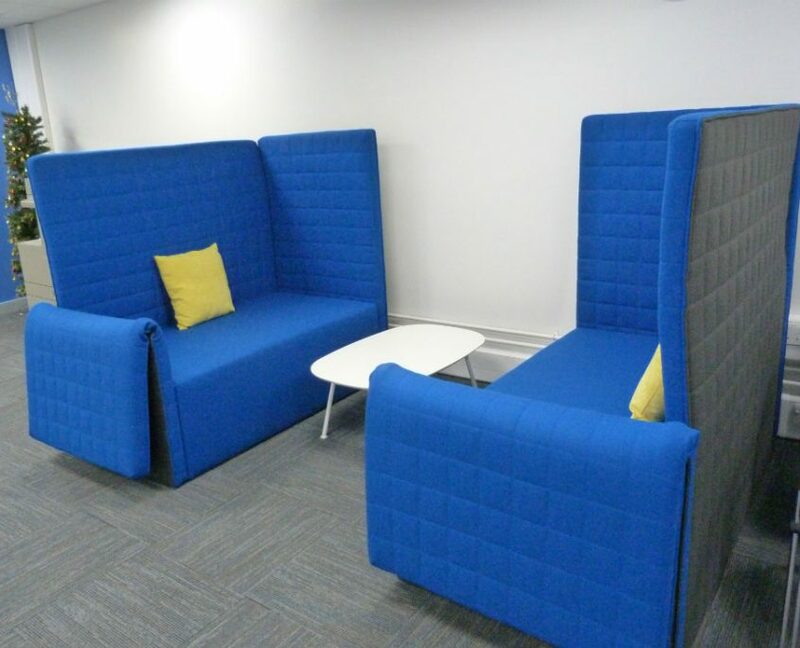 We also fitted two Marea sofas at John Hogg Technical Solutions, these booth seating systems have optional folding back and armrests. 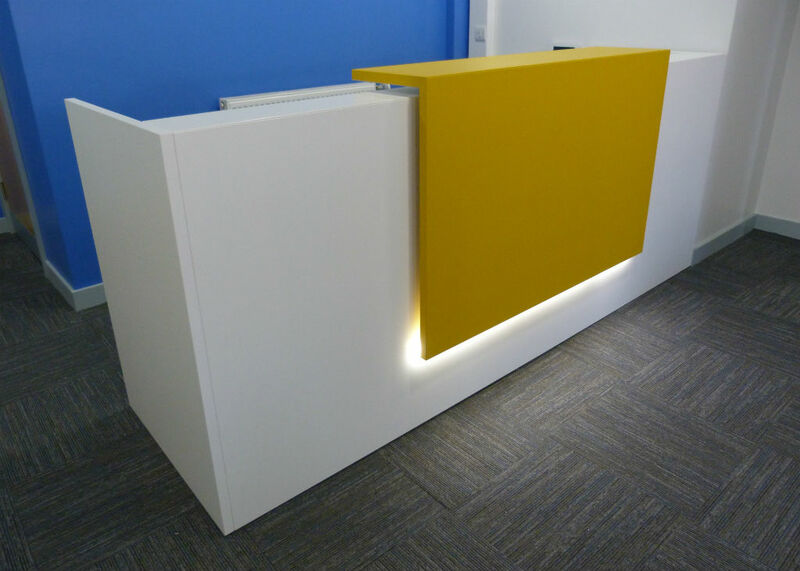 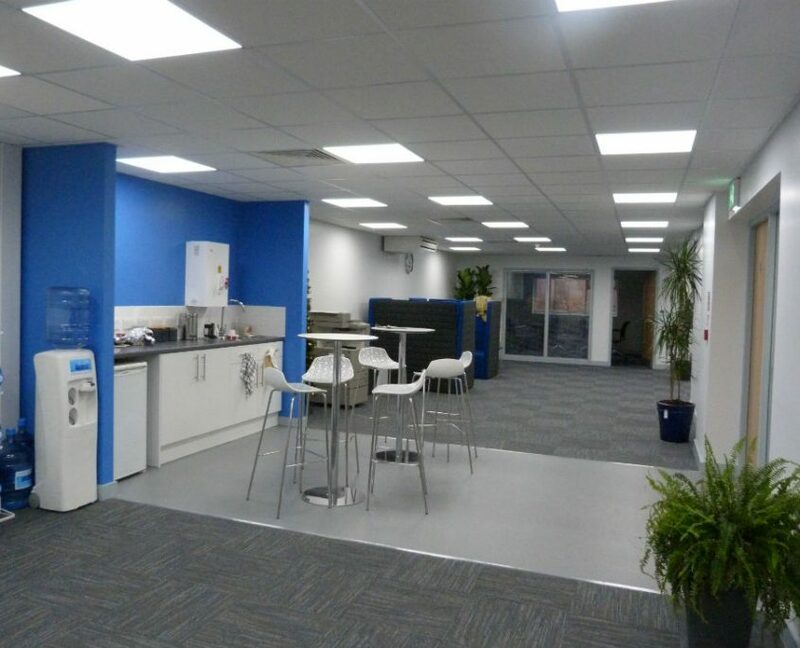 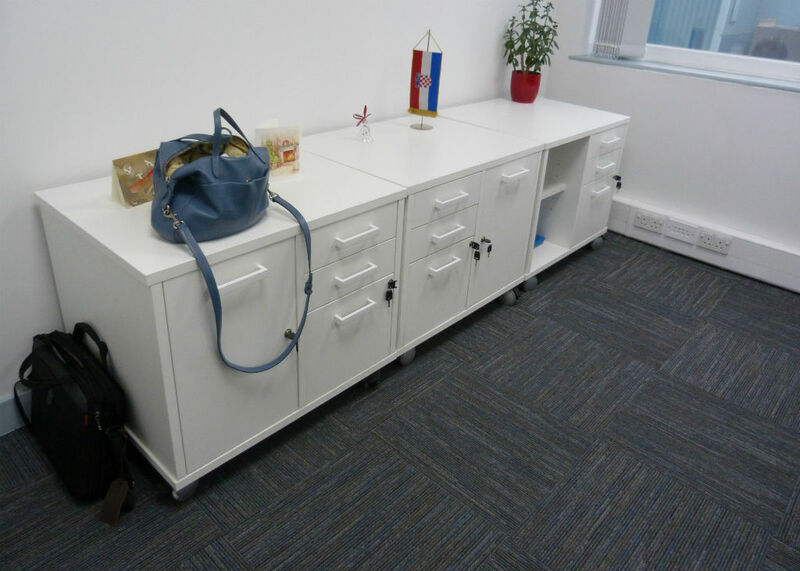 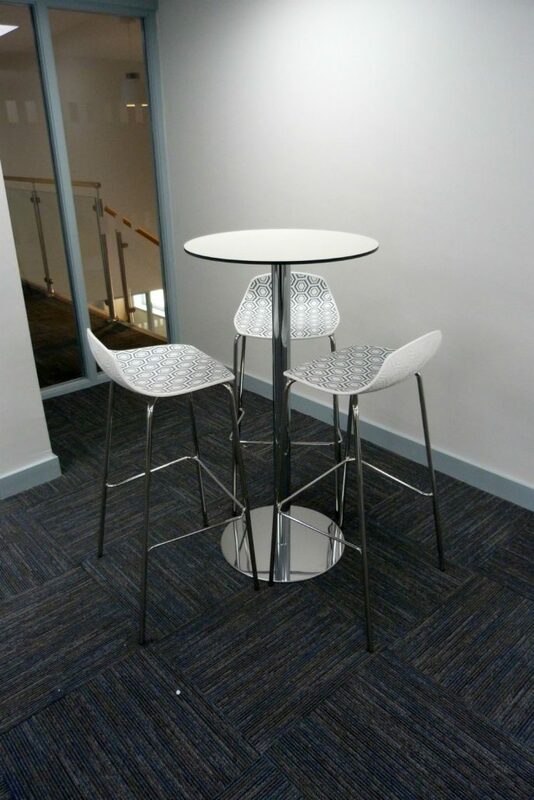 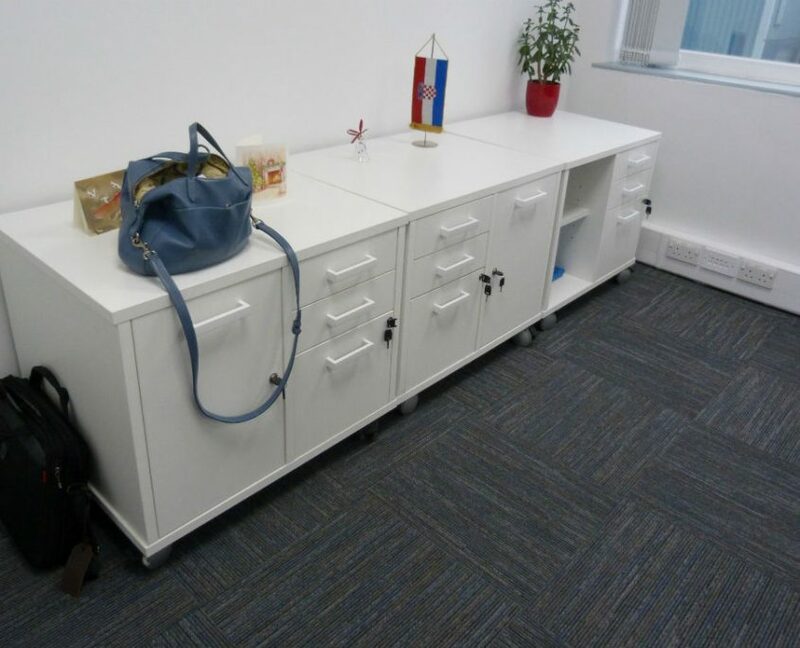 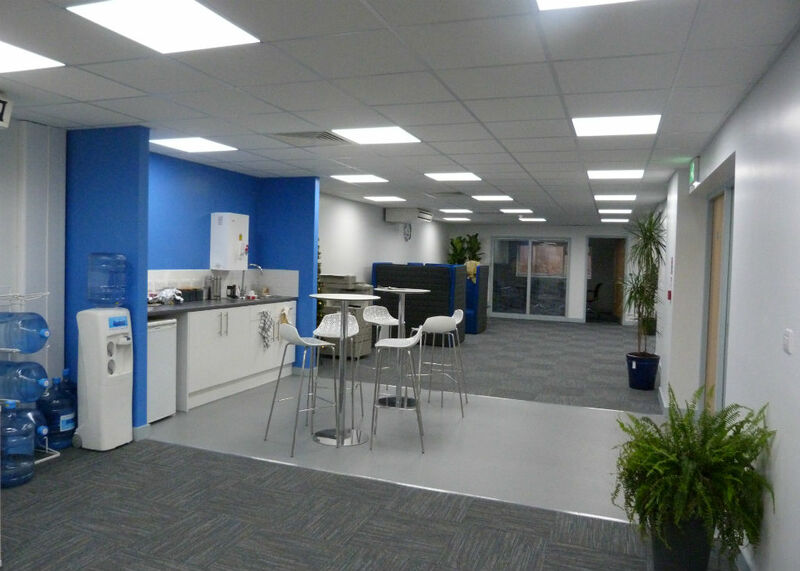 This gave John Hogg Technical Solutions, flexibility and varations to how they wanted their office enviroment to look. 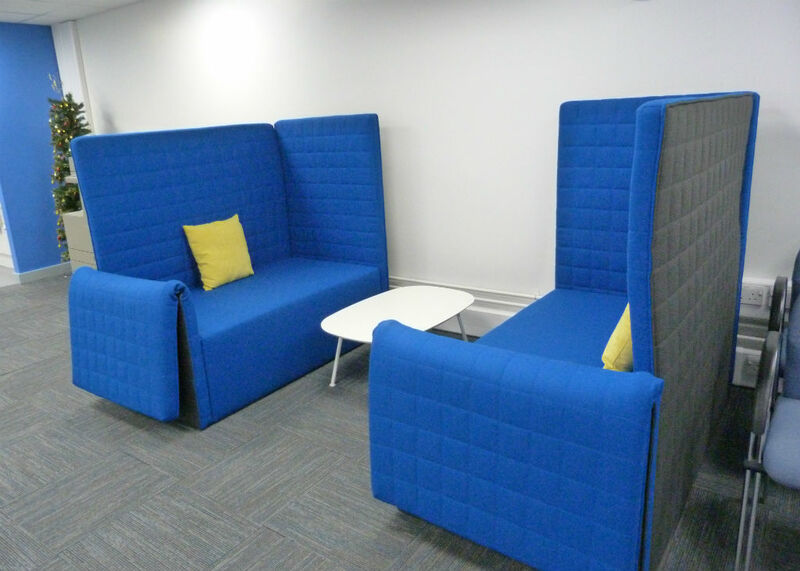 You really can make yourself comfortable with the Marea sofas and the team at John Hogg Technical Solutions seemed to love them!